Worldwide, five million people live with Crohn’s disease and ulcerative colitis, conditions known as inflammatory bowel diseases (IBD). World IBD Day is marked on 19 May each year. World IBD Day is led by patient organisation representing 35 countries on four continents from Argentina, Australia, Brazil, Canada, 28 European nations through the umbrella organisation EFCCA, Israel, Japan, New Zealand to the United States of America. Please click on World IBD Events to see what happened this year in the individual countries. Help us to raise awareness and join our fight against IBD!!!! 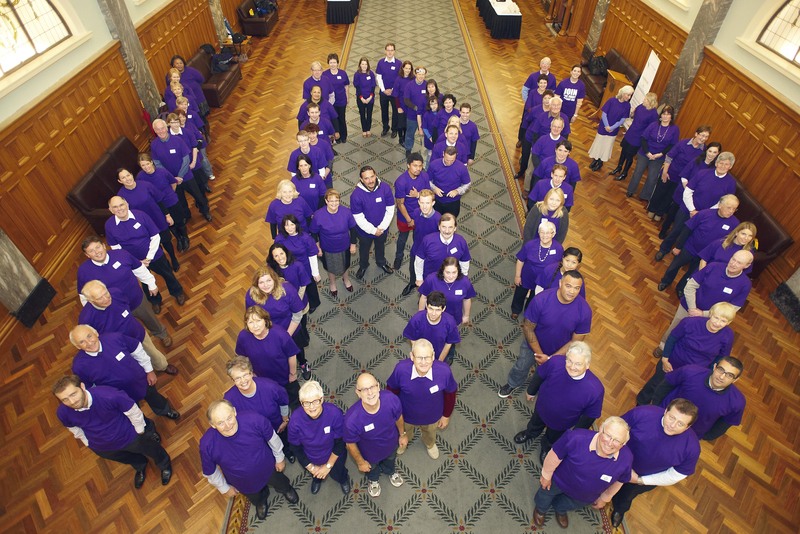 Crohn's and Colitis New Zealand recognised World IBD Day on 16th May 2012 with a call to action to ‘join the fight against IBD. 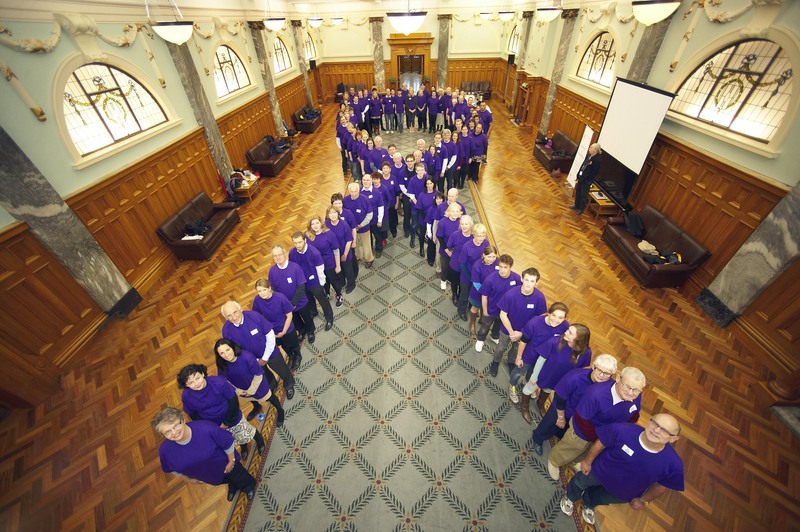 Over 100 local members and family, wearing purple t-shirts joined together to form a purple ribbon and then reformed to spell IBD on the grounds of the New Zealand Parliament. The Associate Minister of Health Hon. Peter Dunne, along with Dr Jackie Blue talked of the very high rate of IBD in New Zealand and the public release of the results of the European IMPACT report. Watch us here on Breakfast TV (from about one and a half hours), Michael Robinson had the opportunity to talk about his little brother's battle with Crohn's. Original generation time 0.7299 seconds.